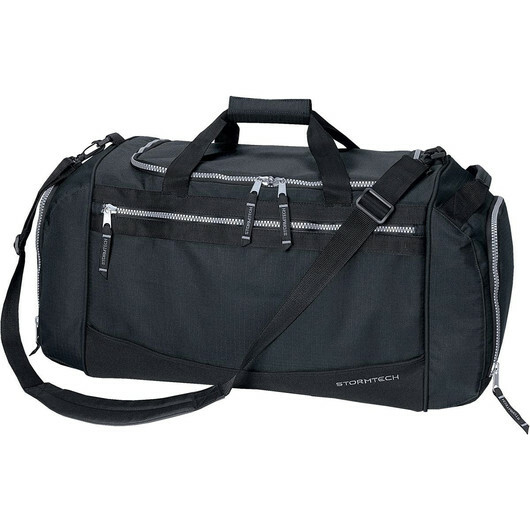 A compact classic designed duffle bag from Stormtech is a must-have for active people that are always on-the-go. Whether you are a professional athlete or just need a serious bag to carry your gear, you will find that you can fit a lot in this duffle. Featuring a 600 denier shell fabric, double walled padded bottom, and webbed weave--this crew bag is tough and resistant to wear and tear. And with a fully adjustable padded shoulder strap, you can take it anywhere. It has 45 litres of storage so use it as a gym duffle bag or your team's sports duffle bag. Works for everything and anything!